Yesterday was a perfect Saturday morning ride with friends. 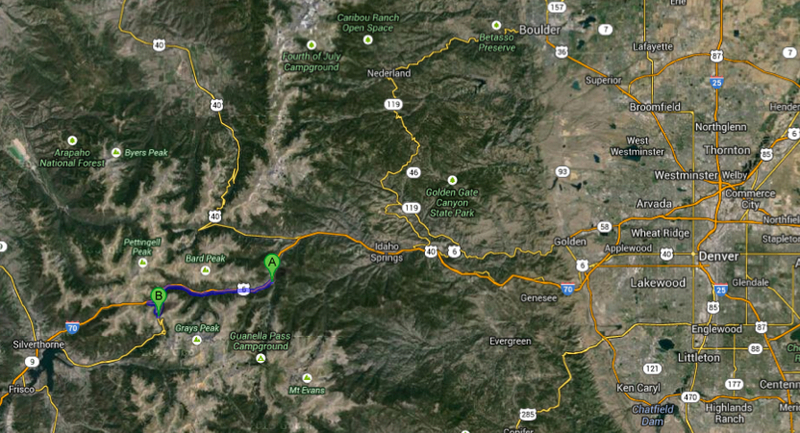 We departed the visitor center in the town of Georgetown, Colorado, and rode round trip 34-miles with 3632 ft of climbing. 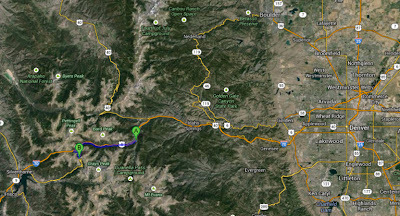 The ride begins less than 1-hour west of Denver and includes some frontage road, bike paths through the woods, and a short but big mountain climb up Loveland Pass. You summit at 11,990 feet (3,655 m). The ride is short enough that you can really ride and not have to conserve. Once you go up, it is all downhill. By the time we reached our cars back in Georgetown we were all smiles in a communal "that was a great ride," feeling as if we just descended a roller coaster of fun. 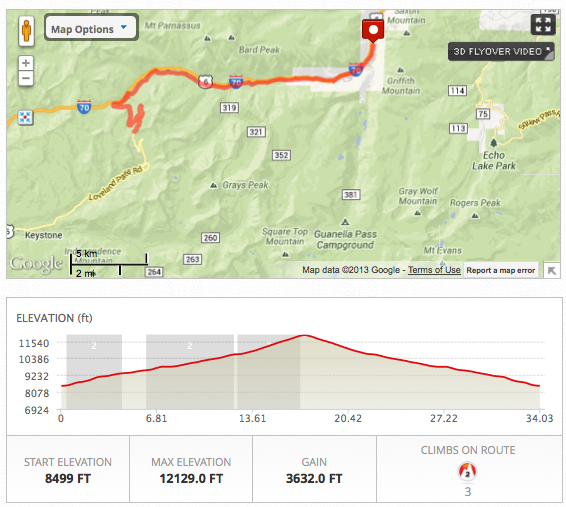 Parts of this climb are remote, so it is best to go "with a buddy" and watch for deer crossing the road. Where is this climb? In Colorado, west of Denver.